DPP proudly partners with the following organizations. The Board of Directors and members greatly appreciate their support of our work with the people and animals whose lives we strive to make a difference in every day. Pet Partners is the nation’s largest and most prestigious nonprofit registering handlers of multiple species as volunteer teams providing Animal-Assisted Interventions (AAI). With the highest caliber curriculum in the industry, Pet Partners trains volunteers and evaluates them with their pets for visiting animal programs in hospitals, nursing homes, veterans’ centers, hospice, Alzheimer’s facilities, courtrooms, schools and other settings. They offer the teams superior risk management and the industry’s highest safety standards, continuing education and re-registration and keen attention to dealing with our unique multi-species team population. Colorado Nonprofit Association, established in 1986, exists to strengthen nonprofits because they are crucial to a better quality of life in Colorado. Every day we educate and inform Colorado nonprofits about new ideas, best practices, and pressing public policies because with that knowledge they can achieve greater impact on Colorado communities. The Institute for Human-Animal Connection (IHAC) program within the DU Graduate School of Social Work is an internationally recognized center for research and training in the varied facets of human-animal interventions across the lifespan and grounded in evidenced-based practice for implementing diverse and ethically responsible animal-supported educational and therapeutic interventions. IHAC is a respected source of scientific and scholarly information on human-animal connections within the fields of social work and social sciences. Swedish Medical Center, a Level I Trauma Center, serves as the region’s referral center for neurotrauma and is a recognized leader in the treatment of stroke. An acute care hospital with 368 licensed beds, Swedish is located in the south metro Denver area in Englewood, CO, where it has been a proud member of the community for more than 100 years. Swedish is home to DPP’s flagship AAI program, proudly partnering since 2002! DPP gratefully acknowledges the generous annual financial support of the SMC Auxiliary in providing a grant to purchase handler training manuals and therapy dog vests, and the support of the hospital in providing conference meeting space. Founded in St. Louis in 1997, Build-A-Bear Workshop, Inc. is the only global company that offers an interactive make-your-own stuffed animal retail-entertainment experience. 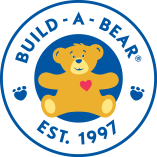 There are approximately 400 Build-A-Bear Workshop stores worldwide, including company-owned stores in the U.S., Puerto Rico, Canada, the United Kingdom and Ireland, and franchise stores in Europe, Asia, Australia, Africa, the Middle East, and Mexico. The company was named to the FORTUNE 100 Best Companies to Work For® list for the sixth year in a row in 2014. DPP gratefully acknowledges Build-A-Bear’s grant of $5,000 to grow and nurture our base of children’s literacy programs and to train therapy teams in literacy mentorship to meet the increased demand.